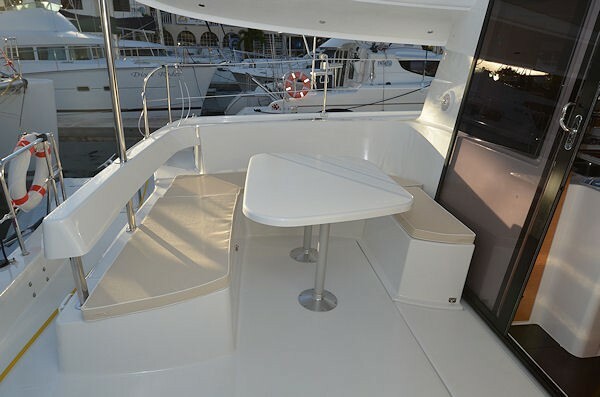 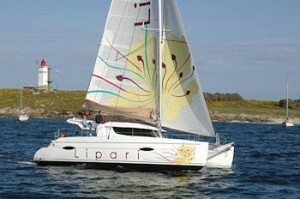 The ever popular Fountaine Pajot Lavezzi 40 was a hard act to follow, but the new Lipari 41 delivers spectacularly. 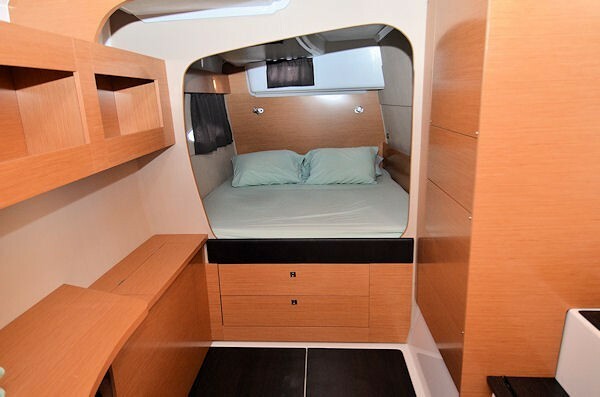 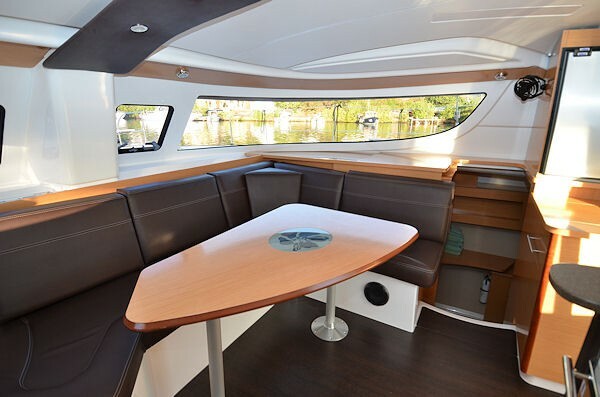 Dawn Star II is the three cabin owners version, which means the entire starboard hull is devoted to one cabin, a comfy seating area and a huge bathroom. 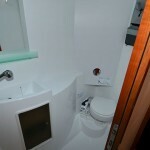 The other two cabins aren’t that shabby either! 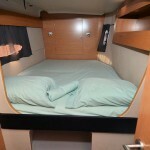 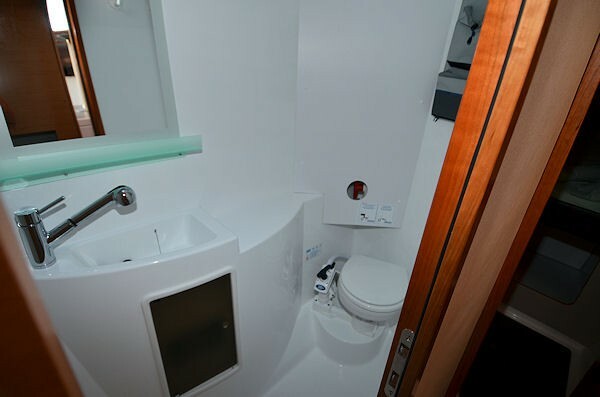 Each has a queen sized berth and they share a mid ships bathroom. 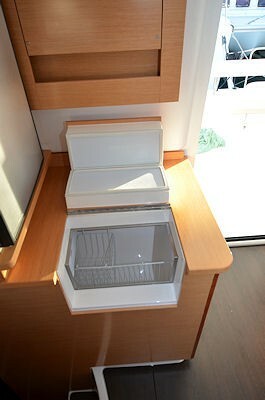 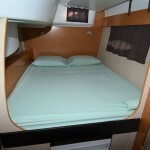 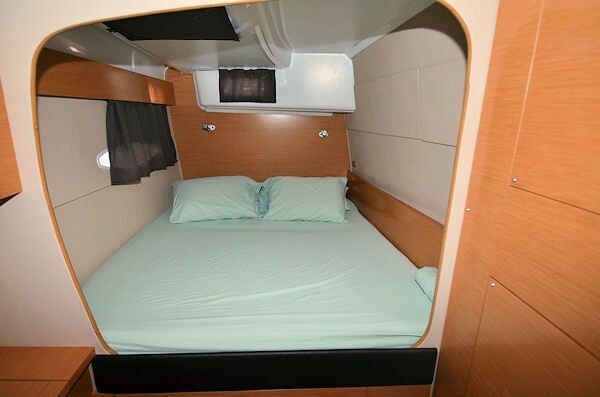 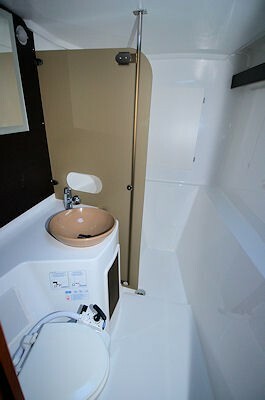 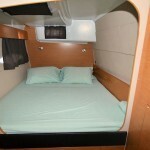 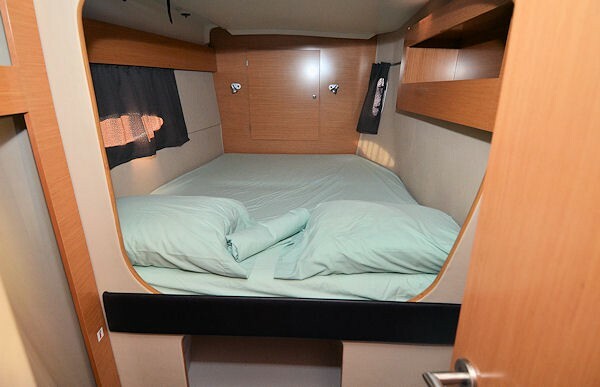 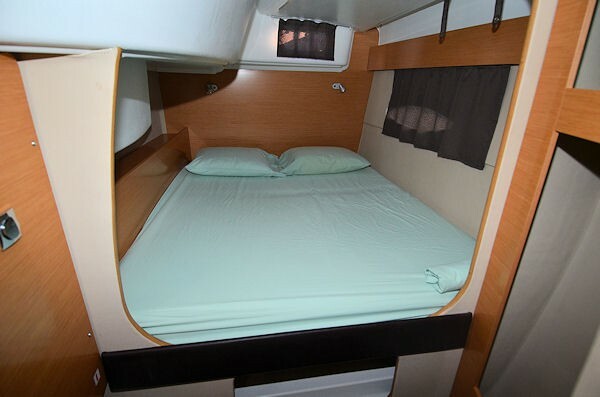 There are two single berths forward which would be suitable for children only. 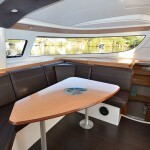 The salon is light and airy with panoramic windows and hatches that allow great air flow. 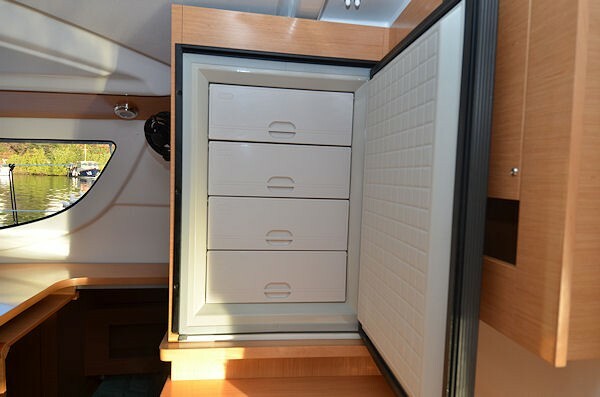 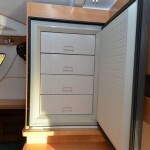 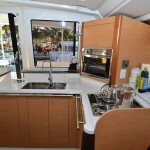 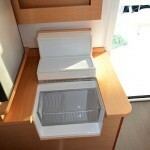 The galley is an integral part of the salon so the chef is not cut off cooking in a hull. 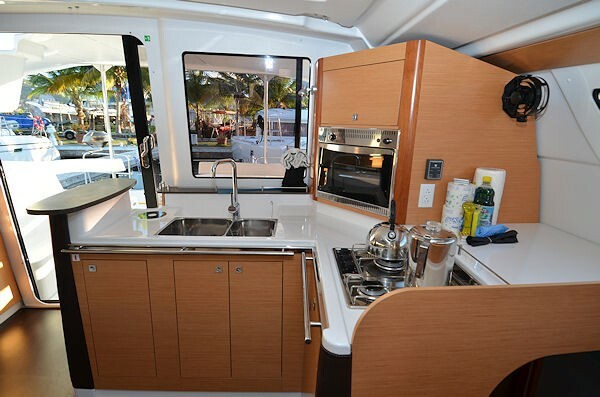 There are great appliances and lots of workroom. 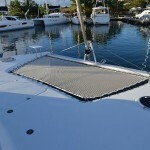 The sailing is done from the fly-bridge which allows great visibility both under sail and at anchor. 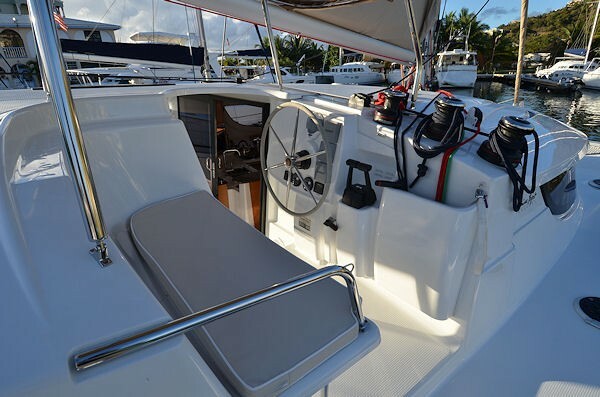 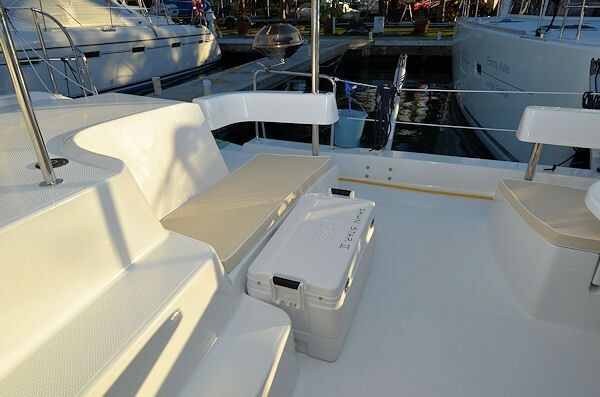 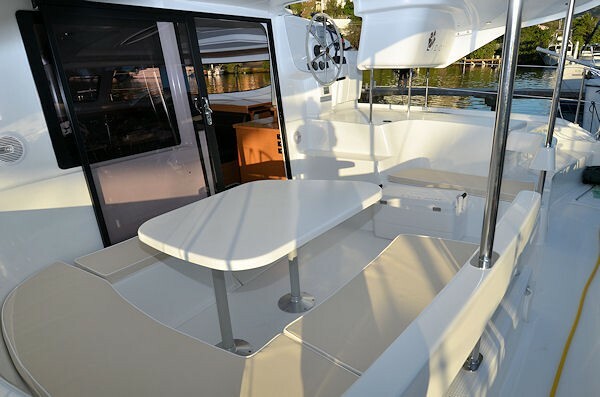 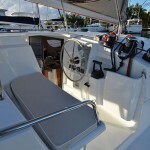 The cockpit, free of helm seats, is roomy and comfortable, especially for a forty one foot boat. 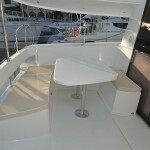 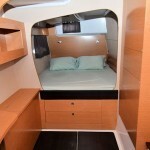 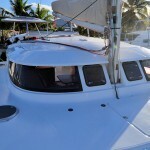 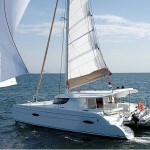 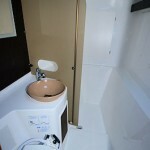 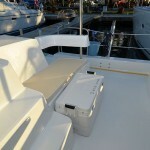 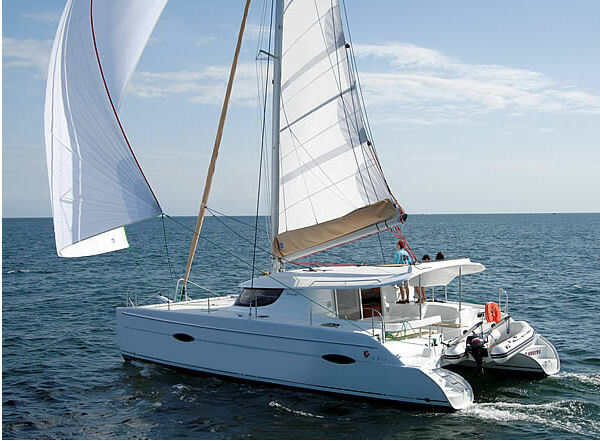 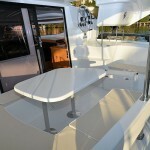 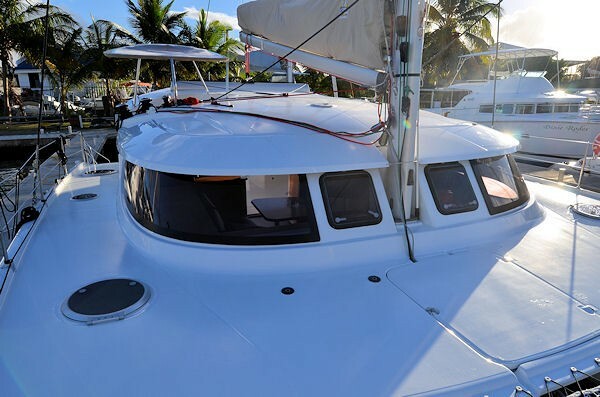 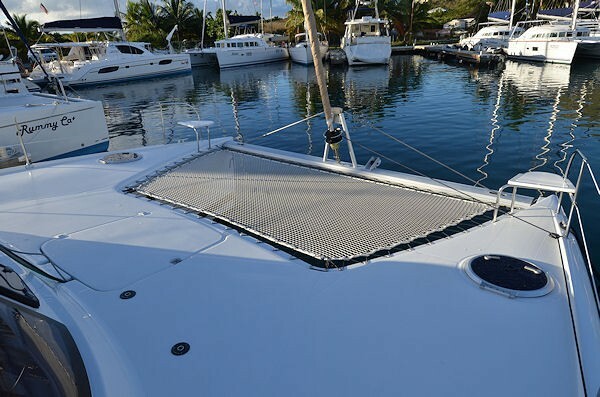 This catamaran is going to be very popular so be one of the first to charter her and have a BVI vacation to remember!